So here it is, me posting on my new site. Old posts are still available so don’t worry about that! Degree Show is coming up in May so I’m working hard, day and night, to achieve my dream spectacle. 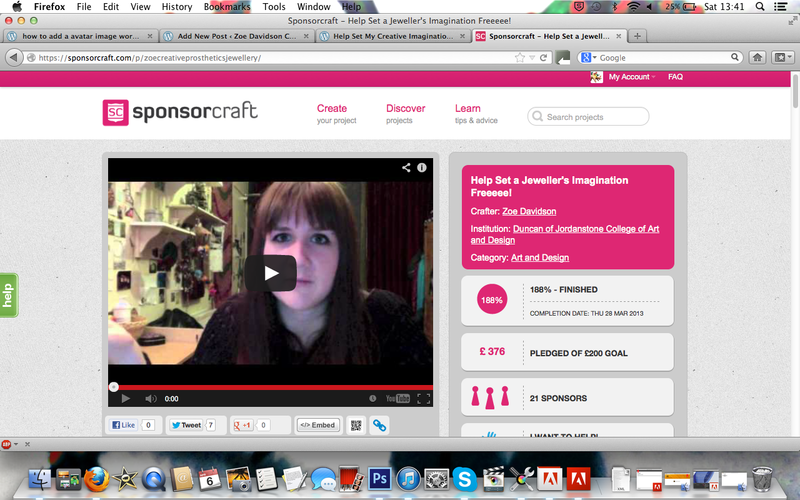 I am very lucky to have been successful on my Sponsorcraft page, I asked for £200 and managed to reach £176 over this target! I would like to thank you to those who pledged. I have been overwhelmed with the success. My Degree Show will show my love for underwater creatures in the form of fashion, film, photography, jewellery, sculpture and more. My dream is to work in Sci-Fi/Fantasy themed films working with special effects makeup, props, costume, and film making.